The currency (foreign exchange) market is the largest and oldest financial market in the world. It is also called the foreign exchange market, or "FOREX" or "FX" market for short. It is the biggest and most liquid market in the world, and it is traded mainly through the 24 hour-a-day inter-bank currency market - the primary market for currencies. The forex market is a cash (or "spot") inter-bank market. By comparison, the currency futures market is only one per cent as big. 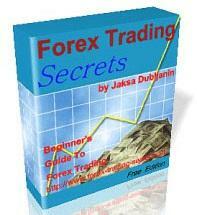 Foreign Exchange simply means the buying of one currency and selling another at the same time. In other words, the currency of one country is exchanged for those of another. The currencies of the world are on a floating exchange rate, and are always traded in pairs - Euro/Dollar, Dollar/Yen, etc. In excess of 85 percent of all daily transactions involve trading of the major currencies - Australian Dollar, British Pound, Canadian Dollar, Japanese Yen, Swiss Franc, and the U.S. Dollar. Unlike the futures and stock markets, trading of currencies is not centralized on an exchange. Forex literally follows the sun around the world. Trading moves from major banking centres of the U.S. to Australia and New Zealand, to the Far East, to Europe and finally back to the U.S. In the past, the forex inter-bank market was not available to small speculators due to the large minimum transaction sizes and often-stringent financial requirements. Banks, major currency dealers and the occasional huge speculator used to be the principal dealers. Only they were able to take advantage of the currency market's fantastic liquidity and strong trending nature of many of the world's primary currency exchange rates. Today, foreign exchange market maker brokers such as FX Solutions are able to break down the larger sized inter-bank units, and offer small traders the opportunity to buy or sell any number of these smaller units (lots). These brokers give virtually any size trader, including individual speculators or smaller companies, the option to trade the same rates and price movements as the large players who once dominated the market. Market makers quote buying and selling rates for currencies, and they profit on the difference between their buying and selling rates. 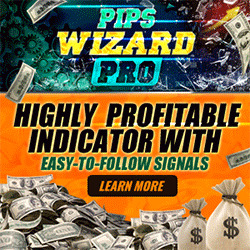 This is a trading system that I use primarily on the Swiss Franc (USD/CHF) in the Spot Foreign Exchange market. I will outline the system as I apply it to the Swiss Franc, hereafter known just as USD/CHF (I believe this stands for Confederation Helvetica Franc).